I read a Associated Press-Ipsos poll revealing that 1 in 4 adults read no books last year. Yes, that’s 25% of the adults out there are reading zero books. This is sad. I knew intuitively the number of books read each year had gone down but to zero? Ridiculous! And what about the adults who are reading more than zero books a year. How many are they reading in all? One? Five? Actually, the same poll reveals the average adult reads only four books per year. Half of those people read less than four. If you are one of the non-book readers who feels you “don’t need no stinking books”, here are 26 great reasons to start the habit…before you are left behind! 1. Reading is an active mental process – Unlike TV, books make you to use your brain. By reading, you think more and become smarter. 2. It is a fundamental skill builder - Every good course on the planet has a matching book to go with it. Why? Because books help clarify difficult subjects. Books provide information that goes deeper than just classroom discussion. 3. Improves your vocabulary – Remember in elementary school when you learned how to infer the meaning of one word by reading the context of the other words in the sentence? You get the same benefit from book reading. While reading books, especially challenging ones, you will find yourself exposed to many new words you wouldn’t be otherwise. 4. Gives you a glimpse into other cultures and places – What is your favorite vacation spot? I would bet you read a lot about that destination. The more information the better. Books can expand your horizons by letting you see what other cities and countries have to offer before you visit them. 5. Improves concentration and focus – Like I pointed out before, reading books takes brain power. It requires you to focus on what you are reading for long periods. Unlike magazines, Internet posts or e-Mails that might contain small chunks of information. Books tell the whole story. Since you must concentrate in order to read, like a muscle, you will get better at concentration. 6. Builds self-esteem – By reading more books, you become better informed and more of an expert on the topics you read about. This expertise translates into higher self esteem. Since you are so well read, people look to you for answers. Your feelings about yourself can only get better. 7. Improves memory – Many studies show if you don’t use your memory, you lose it. Crossword puzzles are an example of a word game that staves off Alzheimer’s. Reading, although not a game, helps you stretch your memory muscles in a similar way. Reading requires remembering details, facts and figures and in literature, plot lines, themes and characters. 8. 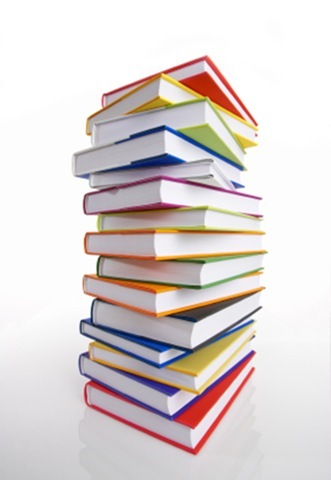 Improves your discipline – Obviously, if 1 in 4 people don’t read one book per year, then there is a discipline issue. There may be many causes for people not reading books such as the “quips” of information you can get on the Internet. TV is also a major distracter. Making time to read is something we all know we should do, but who schedules book reading time every day? Very few… That’s why adding book reading to your daily schedule and sticking to it, improves discipline. 9. Learn anywhere – Books are portable. You can take them almost anywhere. As such, you can learn almost anywhere too. 10. Improves creativity – by reading more books and exposing yourself to new and more complete information, you will also be able to come up with more creative ideas. As a personal example, I read many, many books on IT Networking. So often, when IT Admins are stumped with a problem, I can come up with a creative (smack your head simple) solution that isn’t written anywhere. But the reason I can do that is because I have read so many books on the subject, I can combine lessons from all of them into new solutions. 11. Gives you something to talk about – Have you ever run out of stuff to talk about with your best friend, wife or husband? This can be uncomfortable. It might even make married couples wonder if their marriage is in trouble. However, if you read a lot of books, you’ll always have something to talk about. You can discuss various plots in the novels you read, you can discuss the stuff you are learning in the business books you are reading as well. The possibilities of sharing are endless. 12. Books are inexpensive entertainment – What’s the average price of a movie ticket these days? $8 – $10? You can buy a paperback for that price and be entertained for many hours more. If you have a used bookstore nearby, you can get them even cheaper. Tip: Once you make reading a habit, you’ll enjoy reading the books in your chosen career as well. 13. You can learn at your own pace – Where formal education requires time commitments, books have no late-bells or hourly commitments. So you can learn at your own pace when you read books. 14. New mental associations – I touched on this above. As you read more books the depth and breadth of your knowledge expands and your ability to form new associations increases. In reading a book to discover the solution to one problem, you find the solution to others you may not have considered. 15. Improves your reasoning skills – Books for professionals contain arguments for or against the actions within. A book on cooking argues that Chili powder goes well with beef and goes poorly with ice-cream. A book on building a business argues that testing an idea for profitability before setting up is a smart strategy and argues against just barreling forward with the idea without testing. You too will be able to reason better with the knowledge you gain. Some of the arguments will rub off on you. Others you will argue against. Regardless, you’ll be reasoning better. 16. Builds your expertise – Brian Tracy has said one way to become an expert in your chosen field is to read 100 books on the subject. He also said by continuing the same for 5 years you’ll become an international expert. With the Internet and blogs, you could hone that time down to 2-3 years if you follow through. 17. Saves money – Apart from saving money on entertainment expenses. Reading books that help you develop your skills saves money. Reading books on how someone went bankrupt will be a warning to you against repeating their mistakes. Reading a book on how to build your own backyard deck saves the expense of hiring a contractor. 18. Decreases mistakes – Although I would never suggest putting off an important goal because you fear making mistakes, it is still important to sharpen the saw (link to A.L. post). When you gather the deep and wide wisdom that books can provide, you are less apt to make mistakes. 19. You’ll discover surprises - As you read more books as a source of information, you’ll learn stuff you weren’t looking for. I’ve read many great quotes on life and love by reading books on marketing. I’ve learned facts about biology from reading about chemistry. Heck, I’ve picked up some facts about history while reading about programming. Since so many subjects intertwine it’s almost impossible not to learn something other than the book’s subject. 20. Decreased boredom – One of the rules I have is if I am feeling bored, I will pick up a book and start reading. What I’ve found by sticking to this is that I become interested in the book’s subject and stop being bored. I mean, if you’re bored anyway, you might as well be reading a good book, right? 21. Can change your life – How many times have you heard of a book changing someone’s life? For me, it was Your Erroneous Zones (link) by Wayne Dyer – which is the first self-development book I read. It opened my eyes to a whole new way of thinking that was not depressing and dull. It was the first step in my path of choosing my own life and being free of old habitual thought patterns. There are many, many other books out there that have a reputation for changing lives including Getting Things Done: The Art of Stress-Free Productivity, Handbook to Higher Consciousness, Atlas Shrugged , A Tree Grows in Brooklyn, Lord of the Rings and Black Boy to name a few. But you can start in your chosen field and work your way outward. 22. Can help break a slump – Being in a slump is uncomfortable. If you are a writer, you call it writer’s block. If you are a salesperson, it’s called – not making a sale in 23 days. But a slump can be a crossroads. It might be you are wavering on your commitment to a particular project or (with marriage) person. Or a slump can be simply a lack of new ideas. Books are a great source of ideas, big and small. So if you find yourself in a slump, pick a book on the portion of your life you are slump-ing and get to reading! 23. Reduces stress - Many avid readers (including me) unwind by reading. Compared with the person who gets home from work and immediately turns on the TV news, you are going from work stress to crime stress. But it’s not just news. TV as a source of relaxation is too full of loud commercials and fast moving (often violent) images. If relaxation is something you want, turn off the TV or computer and pick up a book. 24. Gets you away from digital distractions – If you, like many others, feel overwhelmed with the flashing lights, beeps, boops and ring-a-dings that burn up our computing lives, then give books a chance. When you find some good books, you’ll find yourself drawn into the subject matter. You’ll want to spend more time reading. By spending more time reading books, you’ll have less time for the plethora of the digital gadgets begging for our attention. 25. You’ll make more money - If you make a serious effort to read in your chosen career, your expertise in that specialty will increase. As you become more specialized and learned, you join a smaller group of more qualified people. By being part of the small few with the highest level knowledge your pay will increase. It’s simple supply and demand. 26. The book is always better than the movie – except for perhaps No Country for Old Men. What are some of the most important books you have read? What is the title that changed your life? If you’ve found a book that made a major change in how you work, live or love, please tell us about it in the comments below. Hey! If you like this post, you’ll LOVE my RSS Feed. Don’t miss any more feature articles! imgriff.com » Blog Archiv » Der Link am Morgen: Lest mehr Bücher!